Dubai: A number of parents of a popular school in Dubai said parents have not been informed sufficiently in advance what textbooks to buy for the new academic year, which starts on April 1. The parents told Gulf News they will only find out on the day of the book sale itself, which will be held at the Indian High School (IHS) from March 28 to March 30, depending on the grade. This will leave them little time to buy books at ‘better deals’ from outside the school. According to the parents, previously the book list was published more in advance, giving parents more time to shop for “better prices” than charged by the bookstore at IHS. It added that the school has taken “a radical decision to provide more online resources than printed material with effect from 2020-21”. Still, some parents told Gulf News that IHS used to reveal the book list around 10 to 15 days before the first day of school. “Why doesn’t the school issue the book list well in advance, why does it have to be on the day of the sale itself? It takes time to shop around for the best price, and by issuing the book list so close to the reopening of the school, parents will be left with too little time to do that,” Abid said. “There have been several rumours pertaining to the sale of books in the social media, particularly the WhatsApp groups, by people with vested interests. A lot of incorrect information is misleading the parent community. 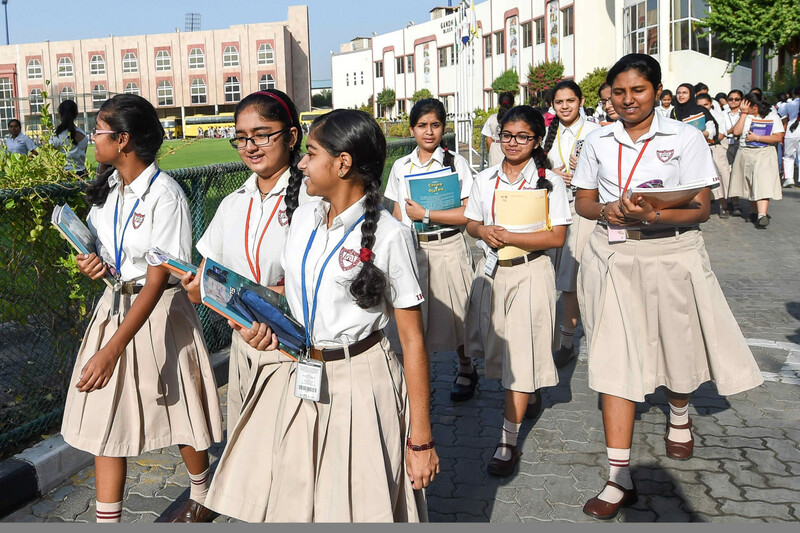 “The school makes an informed choice of textbooks that caters to CBSE specifications and DSIB [Dubai School Inspection Bureau] expectations. The books are procured from reputed publishers of international standards. “Keeping in-line with the Ministry of Education norms of making online resources available from this year, the IHS has made a radical decision to provide more online resources than printed material with effect from 2020-21. This will also make it easier to revise the resources on a regular basis, so as to meet the needs of students, keeping in mind the changing trends in education. “There are many advantages of doing this, as online resources can be engaged with, from anywhere 24x7 and it helps reduce the weight of the school bag. From this academic year, the e-learning programme of the school will be available online and will help not only students to access it from home but even parents to engage with it for home tutoring. Going by the norms of the past 20 years at the school, the book list is made available on the same day of the book sale.